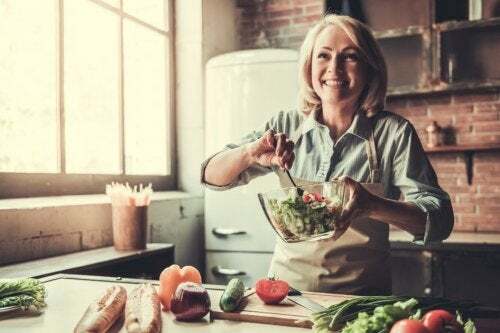 Even if you pay attention to the food that you eat during the menopause, you must not forget that healthy eating should always be accompanied by exercise. Physical activity is the fundamental complement to a balanced diet. Menopause is a stage in which a woman undergoes a drastic change. Each woman experiences these changes differently. What is clear is that for all women, it is quite a difficult time. A women’s diet is fundamental to making the menopause a more bearable process. For that reason, in this post we tell you about the influence of diet on the menopause. 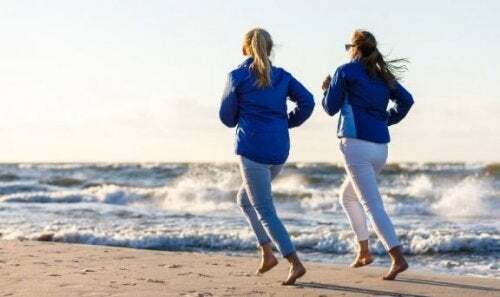 We also want to remind you that besides keeping the influence of diet on the menopause in mind, you should not forget daily exercise, even if it is just walking for one hour. It will help you to feel more agile, active, and in better health. As we discussed previously, menopause is a very personal process. By this we mean that each woman lives it in a different way. Menopause is much more than the stopping of menstruation, since it is also accompanied by a wide range of symptoms and changes. If we were to talk to several women who have gone through the menopause process, surely each one of them would tell us different symptoms that they have experienced. Also, the process up until menstruation disappears completely, has a different duration for each woman. Therefore, every woman will have to create a diet adapted to fit their symptoms. Here are some tips on the influence of diet on the menopause. In general terms, a woman will have to pay attention to her intake of the foods that we present below. Menopause is often related to the onset of osteoporosis. In fact, 50 percent of women over the age of fifty, suffer from this disease. Osteoporosis is the density decrease of bone tissue. As a consequence of this decreased density, the bones become more fragile and therefore, bone weakness and breaks are much more common. 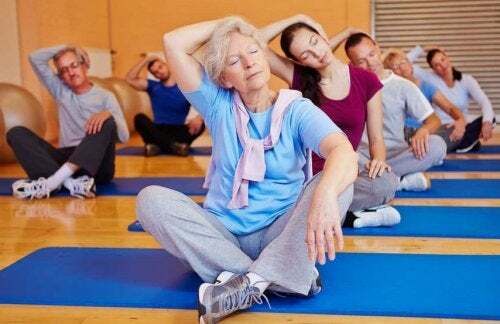 A good way to prevent the onset of this disease or at least to noticeably reduce its appearance, is by taking measures from the moment in which the first symptoms of menopause appear. It is at this time that women must increase their calcium intake. The consumption of calcium is usually done through drinking milk at breakfast. You can also do this by eating yoghurt. It is important that the consumption of calcium is not simultaneously an increase in fats, because that will typically result in weight gain. Opt for low-fat dairy in order to benefit from calcium without gaining weight. Weight gain is common during the menopause. Hormonal imbalances sometimes lead to weight gain that is difficult to lose. Therefore, the best thing to do is to pay attention to your diet and exercise regularly as of forty-five years of age. The key to not gaining weight during the menopause is to reduce fat intake. Keep consuming healthy fats such as, olive oil, nuts, or fish. At the same time, get rid of fast food, battered foods, and carbonated beverages. It is not necessary to start a strict diet, but do pay attention to the food that you are consuming and prepare healthy recipes. If you also combine this with daily exercise, you will notice the results quickly. The exercise should not be very long or intense, but it should become a habit. Take a one-hour walk each day or attend aerobic, ballroom, or sports classes that you enjoy. Vitamin D is often forgotten for women going through menopause. In general, women are aware of calcium intake and fat reduction. However, it is rare for to think about increasing doses of vitamin D, though in reality, it is as important as calcium or fats. Vitamin D is essential for maintaining bone health. 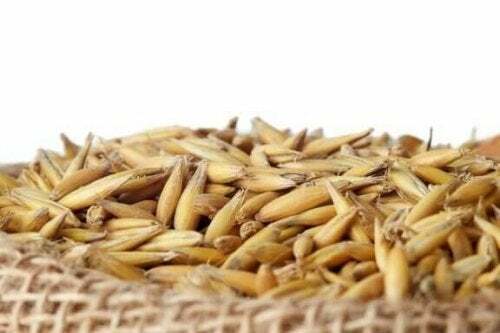 It also keeps muscles healthy, protects against heart disease, and prevents diabetes. Some foods that contain this vitamin are: fatty fish, eggs, liver, and cheeses. At What Age Does Menopause Begin?